Crime Stoppers of the Quad Cities Detective Jon Leach joined AM Quad Cities with this week's report. --ID SOUGHT OF NIKE THIEF: On May 12, a subject entered Kohl’s in Moline, quickly selected a number of items of Nike clothing and took them into the fitting room. When he came out he was not carrying any merchandise. He apparently put them on under his clothing. He quickly ran out of the store and jumped on a bike. Total ... See More value of the Nike gear stolen was $250. --FIVE SUSPECTS RIP OFF VICTORIA'S SECRET: On the evening of June 14, five suspects are accused of stealing a large amount of clothing from Victoria’s Secret at Southpark Mall. The total value is not yet known, but items stolen by just one of the female suspects is valued over $700. --POLICE NEED INFORMATION ABOUT MURDER OF JOVONTIA JONES: On May 19, someone shot 16-year old Jovontia Jones at the Hilltop liquor store on Harrison Street in Davenport. He died from his injuries the next day, May 20th. --WANTED SUSPECT: COREY ELLISON NICHOLS Nichols is wanted by the Rock Island County Sheriff's Department on four warrants for felony possession of methamphetamine and theft. Nichols also has felony warrants for felony theft out of Davenport and Fairfield Iowa, and the Illinois counties of Knox, Dekalb, Grundy, Whiteside, and Lasalle. That is a total of 11 warrants. Extradition is bordering states. --WANTED SUSPECT: DENNIS RONALE GAY Gay is wanted by the Rock Island Police Department. On June 15 police saw Gay driving and knowing that his license was revoked they attempted to stop him. He took off at a high rate of speed and disregarded stop signs and traffic signals. Police ended the pursuit for everyone’s safety. He is considered armed and dangerous. Have a tip? Submit it to 309-762-9500 or by utilizing the Mobile App. 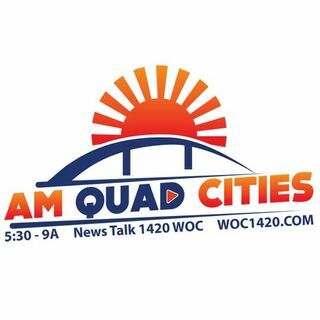 Detective Leach joins AM Quad Cities every Friday at 6:40!